Dean Martin by Alan Becks - Neil Drover - agency for live music, presenters and entertainers. Alan Becks extraordinary ability and portrayal of Dean Martin exclusively available to you and he is guaranteed to mesmerize your audience with his fabulous impersonation of one of the world’s most popular icons. This truly memorable and stunning show ALAN BECKS IS DEAN MARTIN, will take you back in time to experience that nostalgic era once again with a superb mix of Dean Martin’s greatest songs. 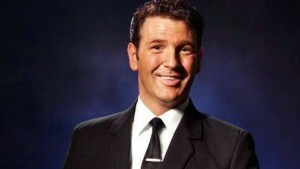 Alan combines his tributes to Dean Martin, The Rat Pack and Legends of Swing to perform a fantastic double header show. This thrilling show takes you back in time to the rat pack and cool era of swing. Featuring Alan’s tribute to Dean Martin in the first part of the show and his tribute to The Rat Pack & Legends of Swing as the finale.